Strobel Ed consultants are dedicated, experienced educators providing professional development training and continuing education for teachers that leaves them feeling excited, empowered, and motivated to step back into their classrooms with COURAGE and CONFIDENCE. Strobel Ed consultants are dedicated, experienced, educators providing professional development training and continuing education for teachers that leaves them feeling excited, empowered, and motivated to step back into their classrooms with COURAGE and CONFIDENCE. Kim isn’t just the owner of Strobel Education. She’s its driving force. Her wisdom, positivity, and strength inform every aspect—and it shows in the inspiring workshops she presents to teachers who seek to make a difference. She puts herself “in the trenches” with teachers because she was once there herself and knows how important support and encouragement are in creating a successful classroom. A licensed ELA teacher for grades K-12, Kim has taught in classrooms at all grade levels during her almost 20 years as an education professional. She began her career teaching fourth grade, during which time she served on numerous committees devoted to improving the curriculum and culture of the schools. She next served as a K-12 Literacy Coordinator, helping to develop a school-wide plan to improve literacy achievement and implement new common core literacy standards. 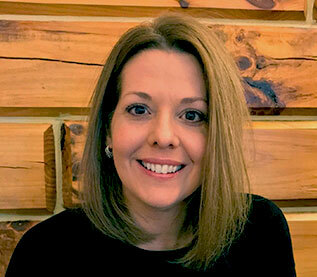 Kim found her next challenge as Director of Curriculum and Instruction for a school district, during which time she developed curriculum in all content areas, K-12; collaborated with teachers and administrators to identify instructional needs; and served as a liaison with state and local agencies. Throughout her career, Kim has been recognized at the state and local level for her achievements and contributions to the education field. In 2010, she was awarded a grant from the Lilly Endowment Teacher Creativity Fellowship, which she used to study the practice of meditation and how to use it in the classroom. And most recently, she’s taken her vision of reimagining education to the national stage as a featured keynote speaker at the Innovative Schools Summit in Atlanta, and the School Discipline Conference in Las Vegas. Kim has recently added the role of Happiness Coach to her lengthy resume. 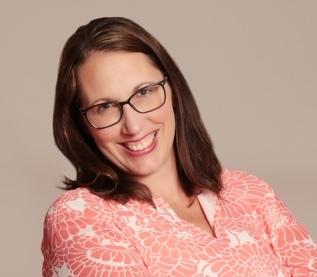 Her new business, Kim Strobel – Live Events and Retreats, guides individuals toward rediscovering their authentic selves and reclaiming their personal and professional joy. 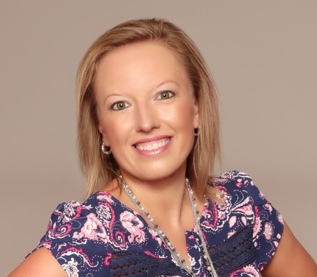 Kim sprinkles happiness tips and tricks into her education workshops, ensuring teachers reenter their classrooms with renewed purpose and passion. 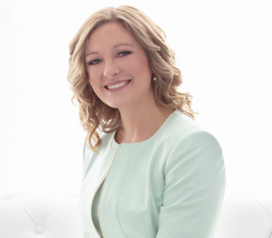 Professionally, Kim’s a teacher, a consultant, a speaker, a happiness coach and an aspiring author. But her personal life is just as full. When she’s not firing up educators with her signature mix of excitement and experience, she’s a die-hard runner, an advocate for her community’s abandoned animals, and a family-oriented gal who loves spending time with her husband Scott, their four children, two grandkids, and three pups. Gina is a lifelong learner, with a strong desire to share her knowledge and enthusiasm for teaching with others. As an on-site trainer for Strobel Ed, she calls upon experience gained from 16 years in primary, intermediate, and multi-age classrooms. She wholeheartedly believes that all students can learn at high levels when placed in the right environment, and she works with teachers to make that happen. Gina has consulted with Dr. Robert Marzano, gathering research for her school’s restructuring to a Proficiency-Based Learning Model, and she was also an integral team member in her district’s transition to Standards-Based Grading. At home, she’s a member of a pretty important team, too—one that includes her husband (and college sweetheart) and three kids. The outdoorsy group gets their fill of nature enjoying sports of all kinds and spending time on their boat with family and friends. 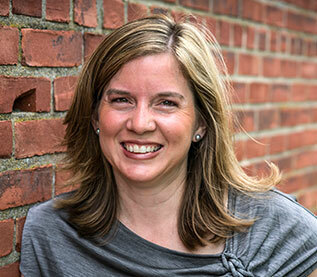 In her 17th year as an educator, Jennifer brings a wide array of experience to the table. She began her career journey as a special education teacher, spent a few years as a Title 1 director, and currently serves as Assistant Principal at Perry Central (Indiana) Elementary School. She is passionate about education and learning and brings that passion to her sessions with teachers. An optimist by nature, she looks for the best in students and teachers alike and strives to provide the individualized guidance and support they need. Jennifer is the biological mother of four feisty and athletic boys who keep her on her toes (and keep her in the gym or on the field more often than not). She is also currently fostering two school-aged boys who have broadened and enlightened her professional and personal outlook. When she’s not on the job, Jennifer and her nature-loving family spend precious time together hiking, swimming, and kayaking. Jamie entered the education world in 2002 and in the years since has taught primary and intermediate grades, as well as middle school. She’s also been an eLearning Coach, a High Ability Coordinator, a Title I Director, and a Media Specialist. She loves kids of all ages and from all backgrounds, and however she’s serving them, her goal is to meet them “where they are”—and take them as far as she possibly can! She seeks out students’ talents inside and outside the classroom and shows them how they can be a catalyst for success in their future endeavors. Working with students and teachers is just one of her life’s passions—her other is the family she’s built with her husband, Robert. They and their three energetic boys have made a happy home on their family farm, and indulge in favorite pastimes like, swimming, gardening, cooking, and caring for their cattle. Lauren’s lifelong dream of working in education came true in 2012 when she began her career as a classroom teacher. Her love for helping others was so great, she flourished in the role for six years and soon started seeking even more opportunities. She returned to school, earning a master’s degree in school counseling, and last year accepted the position of counselor for a middle school. 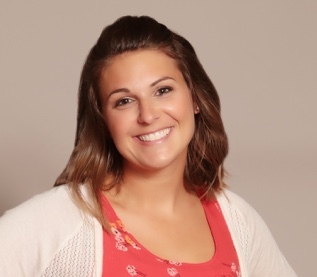 Lauren is currently spearheading a school-wide effort to implement trauma-informed care—and she brings this same engaging and inspiring leadership to her Strobel Ed trainings. Passionate for life inside and outside the classroom, Lauren cherishes family time with her husband John and two spunky daughters, ages 2 and 6. They make the most of their beautiful southern Indiana surroundings by engaging in their favorite outdoor pastimes together. Amber is an enthusiastic and passionate educator with 12 years of experience. A Google Trainer, she brings with her a wealth of knowledge on how to use educational technology to automate and simplify many of the day-to-day tasks that keep teachers so busy during the school day—and after. She believes that teachers have control of their workload and that simple tweaks can make a huge impact on work-life harmony. 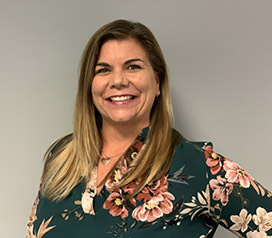 She helps teachers use technology to streamline practices and procedures for data collection, grading, and planning and has consulted for Indiana schools helping educators understand how to keep their digital life organized and make technology serve them and their students. At home, Amber is a mom of two beautiful girls and the proud wife of a public school principal. Staying active is an important part of her life, and she enjoys running, road biking with her husband, and hiking with her family. A marketing and operations pro, Danielle is Kim’s behind-the-scenes, right-hand woman, keeping a watchful eye on all of the moving parts of Strobel Education. She supports a talented team, pulling together the pieces that bring Kim’s education training to life and uphold her visions and values. And she plays a pretty important role at home, too, as a proud wife and mama to two awesome kiddos. When she needs a break from all the busy-ness, you’ll find her taking a time-out near the shores of New England or enjoying a cuddle with her kitten. Karen, a wordsmith from way back, is responsible for all things editing, helping to ensure the Strobel Ed message gets across in a way that’s as inspiring as it is informative. When she’s not elbow-deep in copy, the homebody-at-heart is happiest hanging with her fiancé and two dogs at their log cabin in the country, trying out new recipes and working the Sunday crossword.